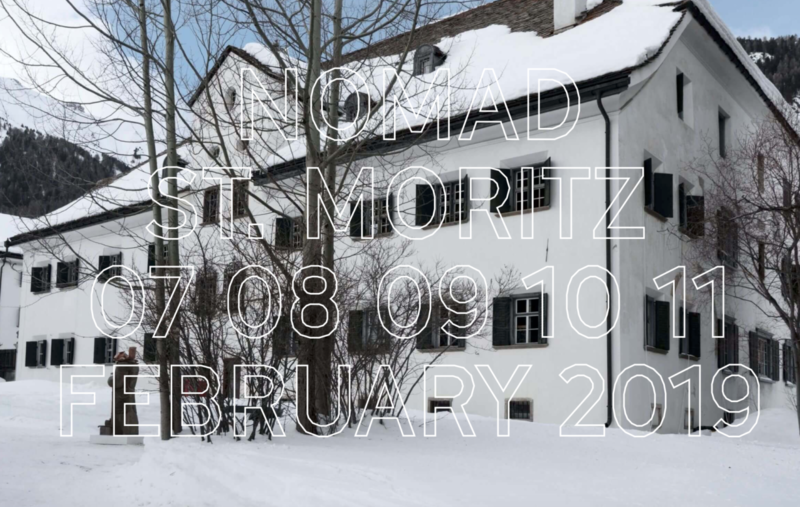 NOMAD st moritz returns to the heart of the swiss alps, inviting collectors, interior designers, architects and the art world’s glitterati to experience its nomadic concept. Conceived by Giorgio Pace and Nicolas Bellavance – Lecompte, the showcase mixes high-end modern and contemporary art and design, redefining the classic idea of events and fair exhibitions by placing works in incredible architectural locations. 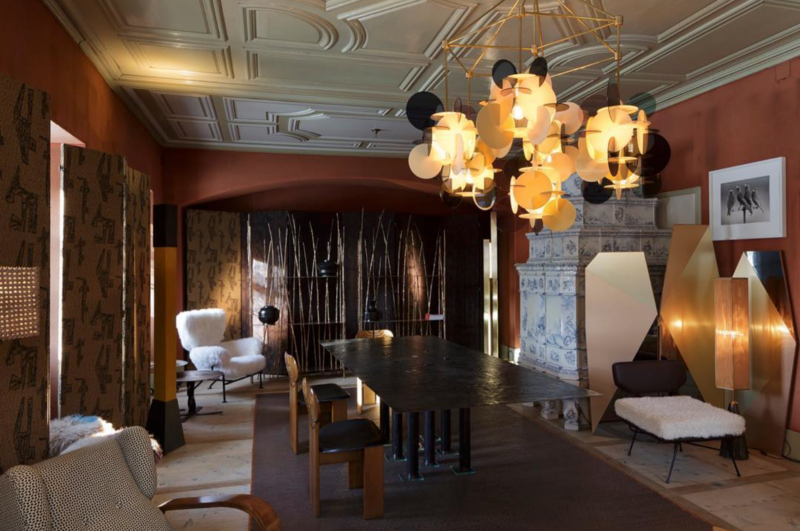 Exhibited over two floors of ‘chesa planta’, a 16th-century stately patrician house, until the 11 february visitors to NOMAD st moritz can experience rooms in line with their classical settings: beautiful tapestries and painted wood panels contrast more minimal spaces with white walls, stone flooring or parquet. 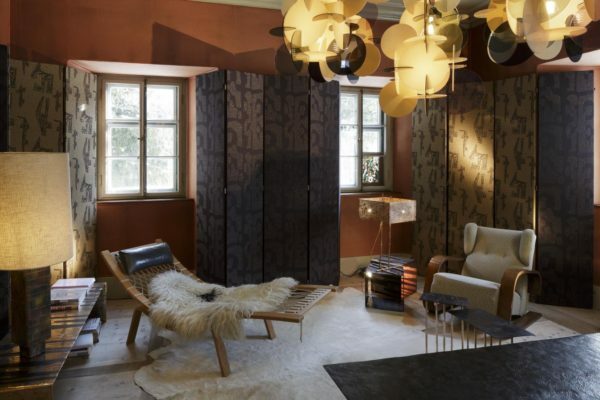 For this year’s edition of NOMAD St. Moritz, Nilufar Gallery’s director Nina Yashar proposes an exploration of the work by Milanese designer Osanna Visconti di Modrone. A tribute to established relationship, celebrating Osanna’s expertise in conveying unique character to bronze castings. Yashar’s flair for blending the unexpected sees such rich conversation through a tribal lens, which becomes the main leitmotiv as the whole selection of pieces is enhanced by the all-over screenwork of newly commissioned luxury fabrics by Tibor UK. NOMAD st moritz has collaborated with 25 of the world’s leading galleries to create immersive installations, inviting each one to curate pieces in the context of the ‘chesa planta’ space. in a very personal context, the event establishes a unique dialogue between gallery works and a community of individuals looking for an unusual experience. NOMAD founders giorgio pace, an art and luxury brand specialist, has worked with fashion companies and museums, such as garage museum in moscow, and architect and curator nicolas bellavance-lecompte is the co-founder and art director of beirut’s carwan gallery.